I am a photographer and vegan blogger at hariniandharsha.com. 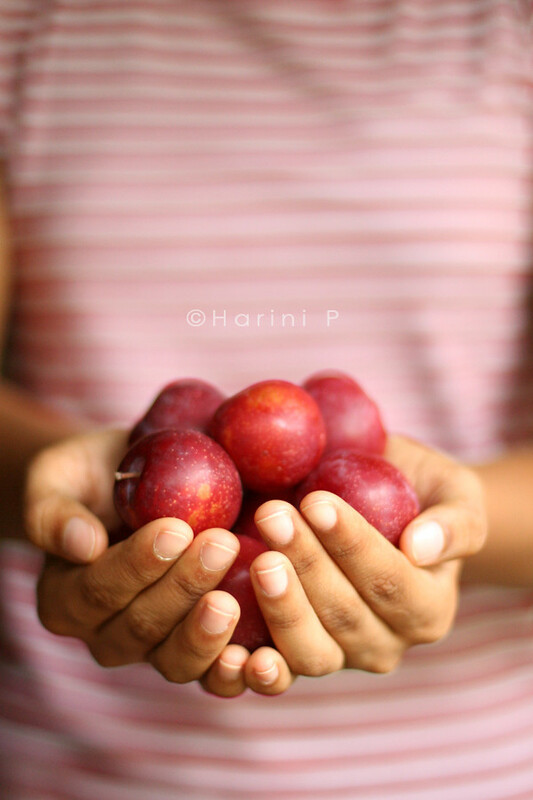 This entry was posted in Food, Food Styling, Fruits, Photography, Plums and tagged Food Photography, Food Styling, Fruits, Hands, Harini P, Indian Plums, Jr.H, Natural light photography, Plums, Red plums, Sunshinemom, Tongue Ticklers. Bookmark the permalink. Hey, thanks!! Unlike me you are so regular. I really appreciate that. I am sort of lazy these days :).